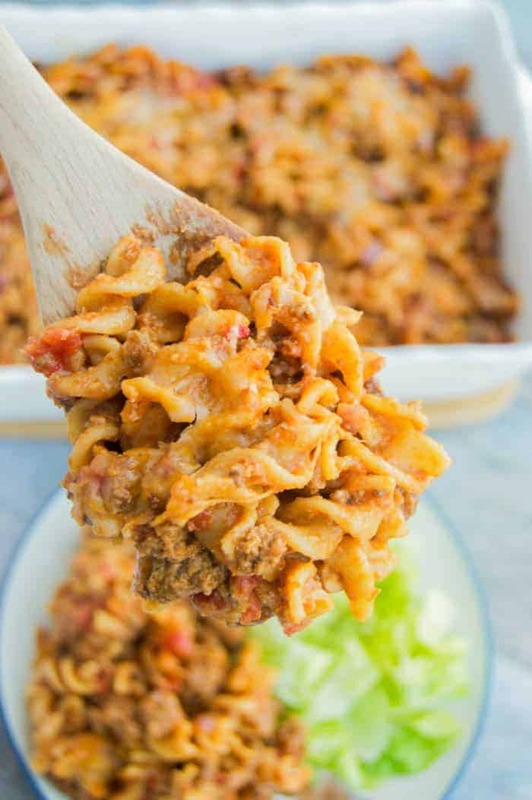 This simple Cheeseburger Casserole is a classic dinner recipe that your family will be asking for again and again! Casseroles should be listed as a love language. I mean who can’t love these classic comfort food that you probably ate as a kid. My mom loved making casseroles and I haven’t given up the tradition. 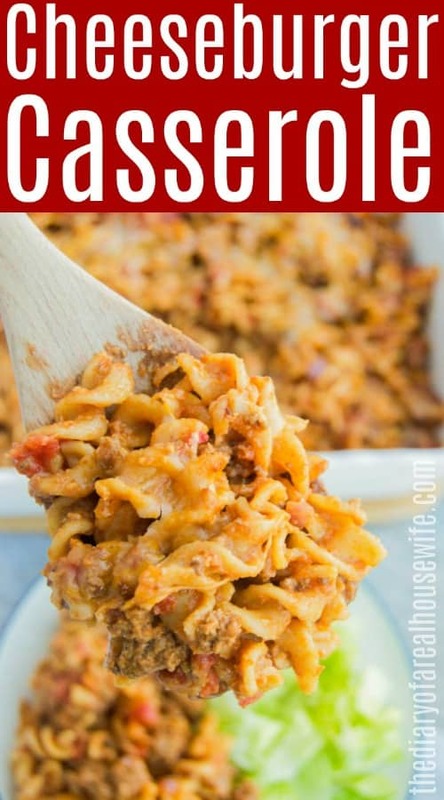 This Cheeseburger Casserole is a classic and a dinner recipe that my entire family loved. When the kids eat it you know your doing something right. 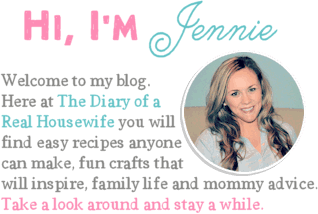 Love cheeseburger recipes as much as I do? Well, make sure to check these out next. I started with ground beef (or ground turkey) with onion and garlic. Then add seasoning and the best part, ketchup and mustard. 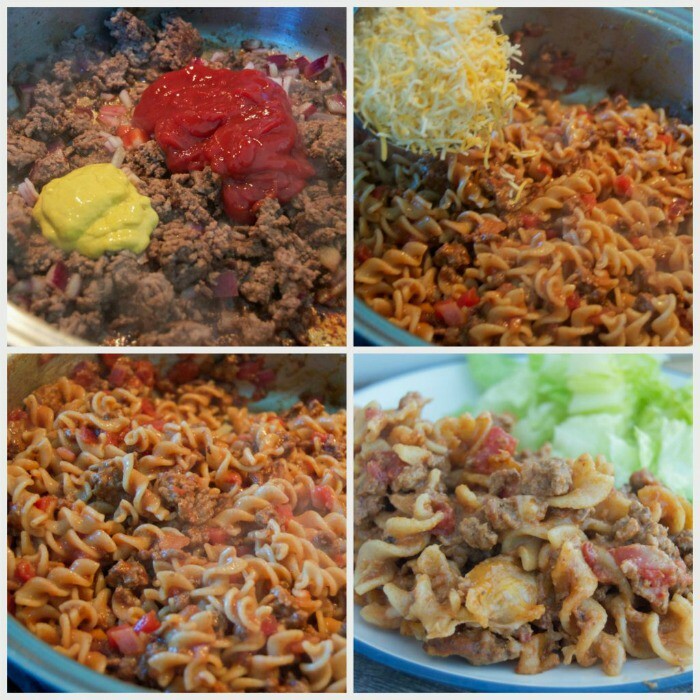 These flavors actually make the recipe taste just like a cheeseburger! I added about 1/2 the cheese in with the cooked noodles and beef and mixed it until it was melted in and well combined. Add it all to a casserole dish and just stick it all in the oven topped with more cheese of course. You only have to bake it all together for a few minutes. If you want a crispy or more browned cheese (instead of just melted) you can broiler it on high for 3-5 minutes. 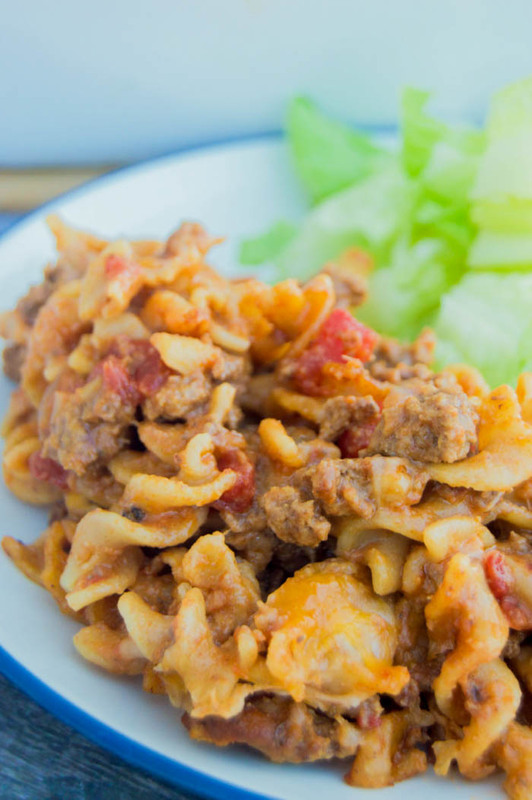 Slow Cooker Cheesy Chicken Rotini: This one is a readers favorite. 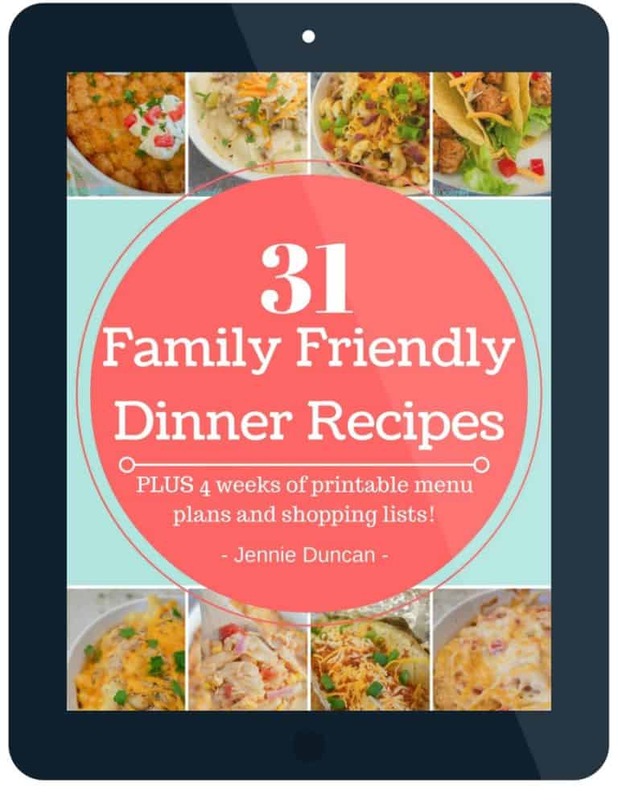 It’s so simple to make and one the entire family is going to love. Italian Sausage and Peppers with Rotini: This one is a favorite of mine. It’s loaded with peppers and onions and the sausage gives it the perfect flavor. Creamy Italian Chicken Rotini: This recipe is also made in the slow cooker. Creamy chicken seasoned with Italian seasoning and tossed with Rotini pasta. Thank you for sharing this great dish! Happy Valentine’s to you all! Visiting from the link up. This looks really good! Looking forward to reading more about your adorable little boys! This looks amazing! My kind of dinner! Hi Joann! Yes I buy my garlic already minced and I add it in with the rest! Also I did not drain the tomatoes! Hope that helps and it taste great for you!! I’m making it right now, but am wondering how much Rotini?!?! Hi Lesli! So sorry that was not in the recipe, I used a 1 lb box for this recipe but you can adjust to fit the size crowd you are feeding. I hope you enjoy! Do you drain the hamburger grease before adding other stuff? We have a family of 6. How many does this serve. Trying to figure out if I need to increase ingredients to make enough for my family. Thank you so much!!!! This feed our family of 4 with left overs (two adults and two kids). You should be able to get 6-8 1 cup servings. I served mine with veggies and a salad. I think it should work but just depends on how much everyone will want. 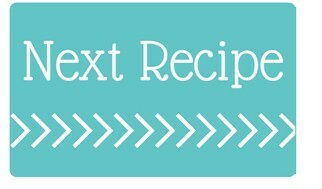 Hope that helps Kelly and I hope you enjoy the recipe!